While selecting the exact type of commercial door for your project, one of the hardware components that you need to consider is the lock style. You have two options to go for- a mortise or tubular lock. You can only decide which one would be more suitable for you only if you know the difference. From the functional point of view, mortise locks are more secure. They come with a deep cut on the door. This cut provides sufficient space for a mortise to slide within the pocket. This deep pocket provides excellent protection. 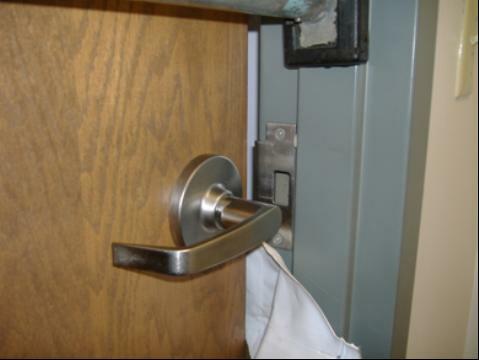 For this reason, doors need to be specially manufactured to use this type of lock. This includes applying a mortise saw to cut into the door. Tubular locks, on the other hand, are more suitable for use in commercial properties. The forte of this type of lock lies in its easy installation process. You can easily replace tubular locks, as long as normal boreholes exist within the door. Tubular style locks are of two types, single cylinders, and double cylinder. So which door is best suited for your project? You are going to require some doors, and to be practical you will require more than one style. You may need to use mortise as well as tubular locks. So, it is up to you to decide where to apply which type of lock. At the initial stage, you need to pay attention to exterior doors. These doors are the ones that come with the safest options, from the style of commercial door that you opt for, to the hardware type used. Mortise locks are best suited for use in these doors. Tubular locks in contrast are best suited for use in the interior doors, which are mostly used as partitions. One of the most effective ways to decide on the lock style is to take into account the function of the door. If the door is to act as a protection, go for the mortise. If, on the other hand, it provides privacy to the inner rooms, then tubular locks would be most suitable. The possibilities of the exterior door acting as a protective barrier are quite high. So, you are likely to need mortise locks. One of the easiest ways to find out which lock style would work out is to appoint an experienced commercial door and hardware dealer. Such a person will have the experience as well as inventory to provide you with the guidance and materials to proceed with the installation. Once you have the right type of locking system for your commercial doors, you won’t get sleepless nights over the security of your outlet. You will get the piece of mind you had been looking for.